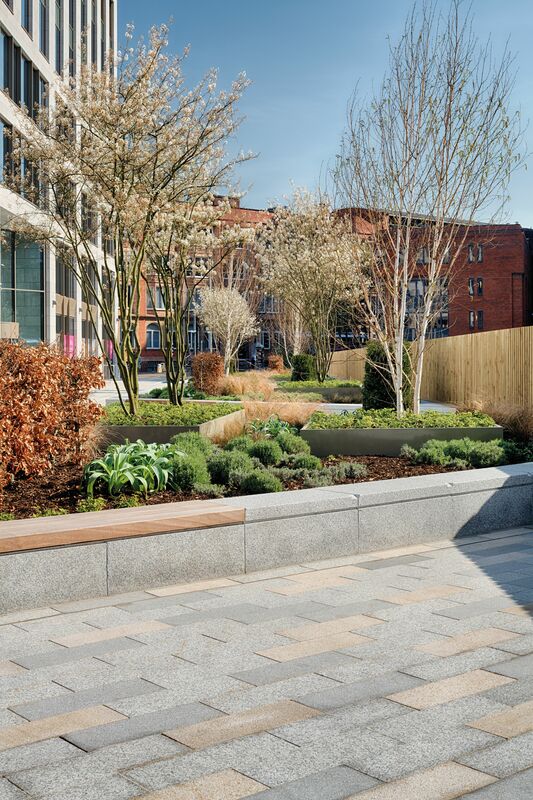 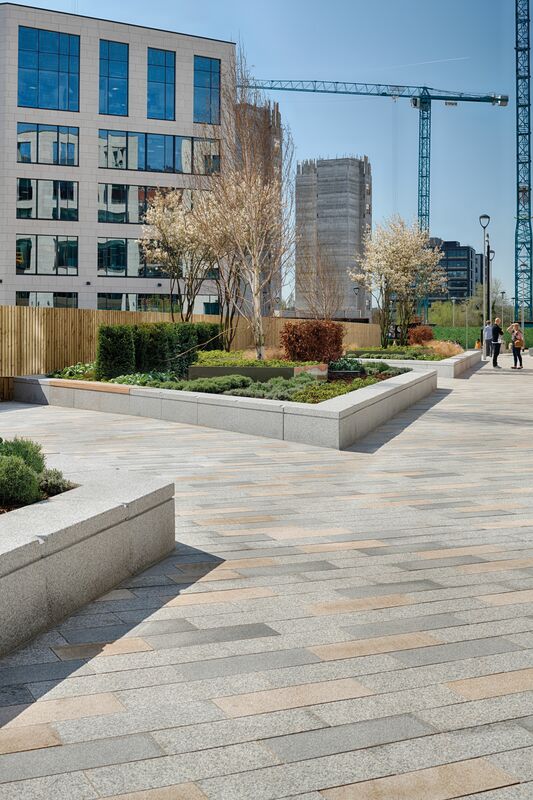 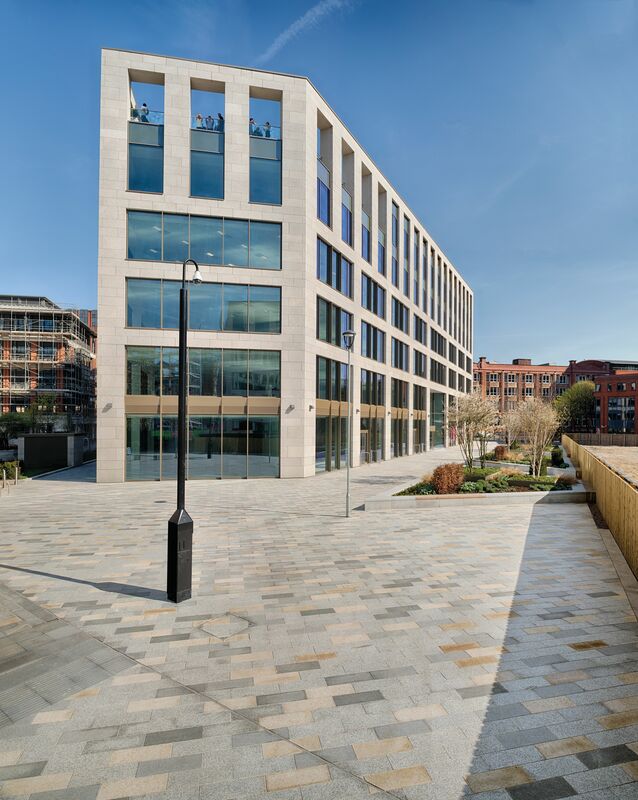 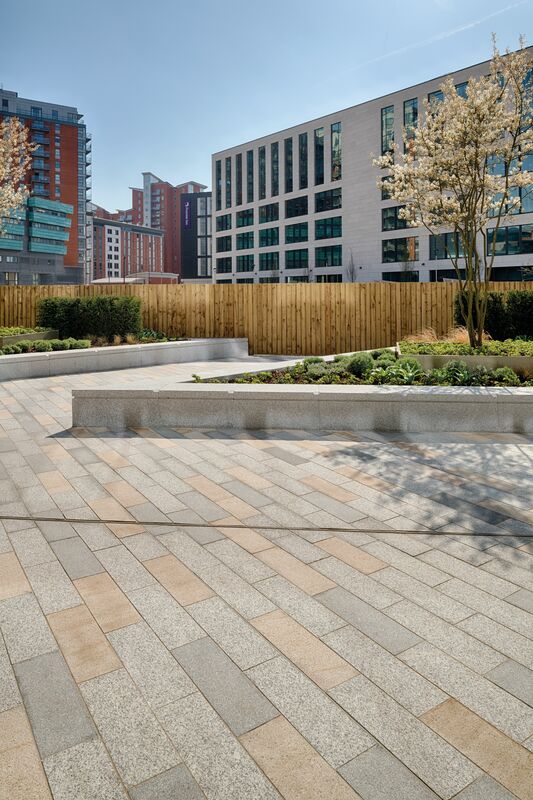 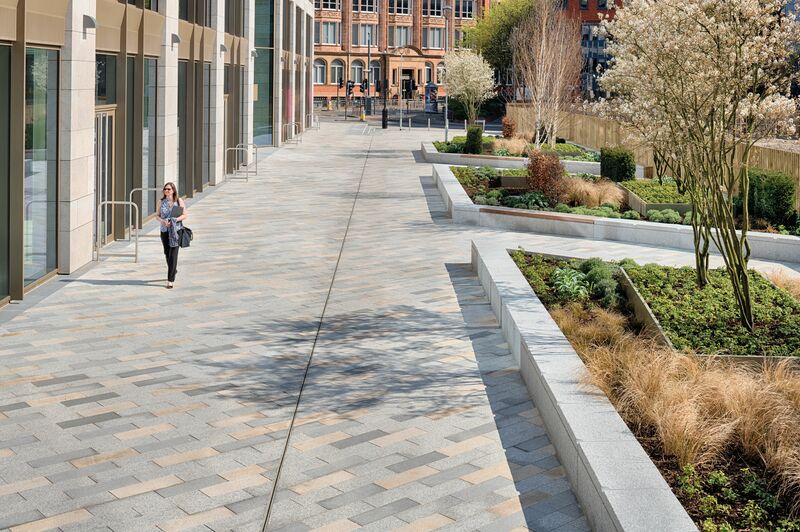 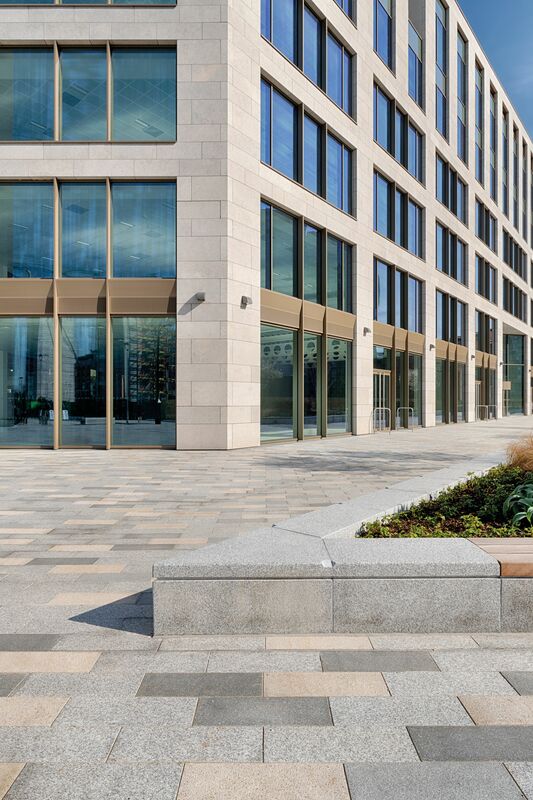 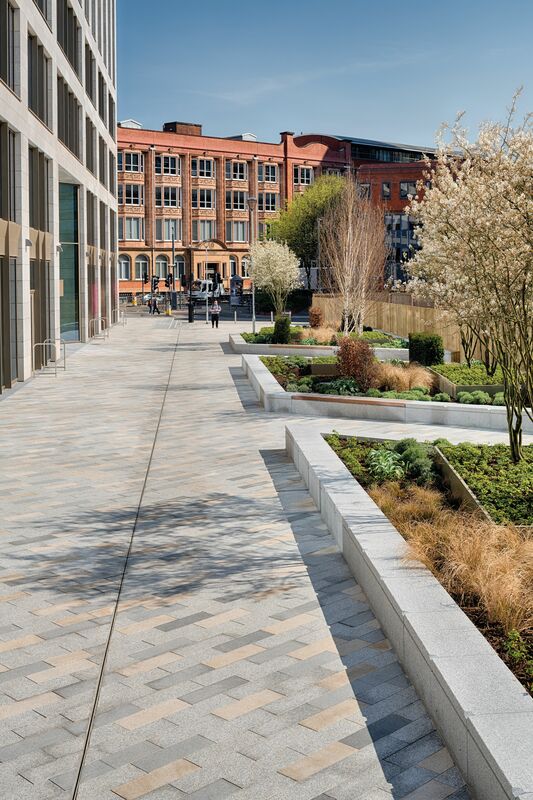 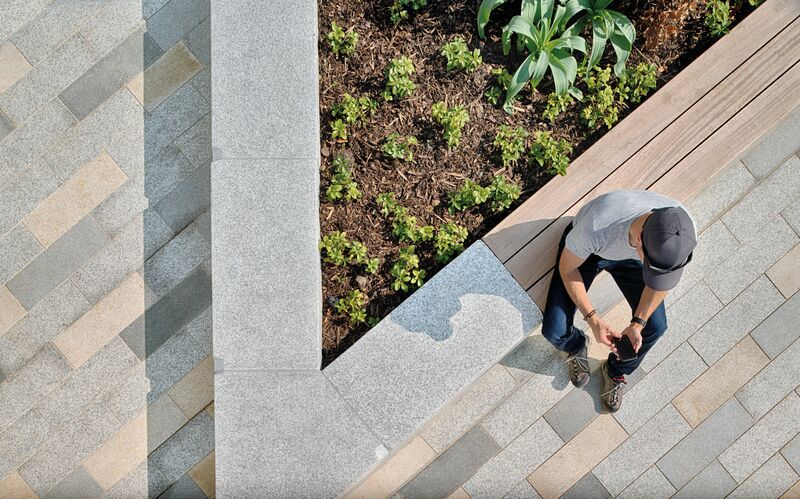 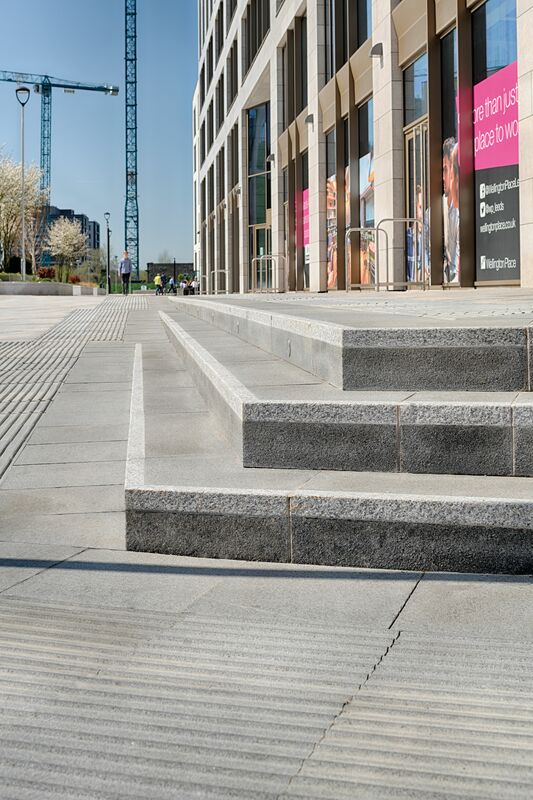 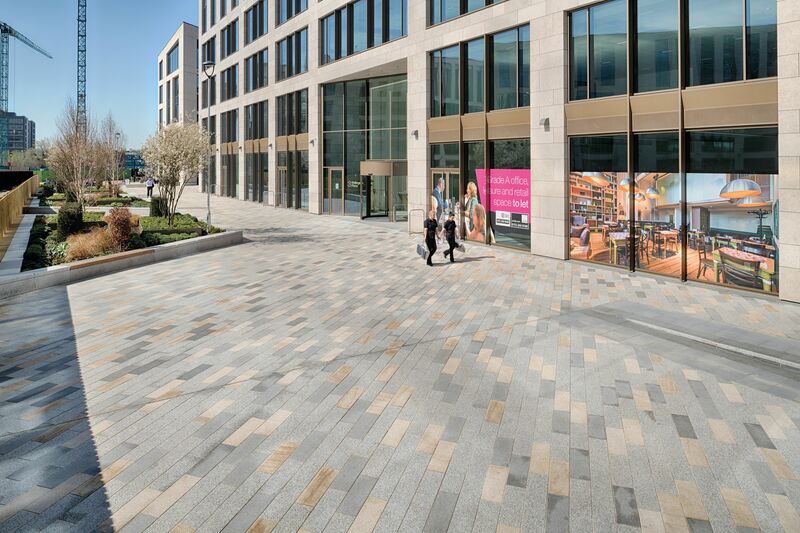 As part of the development of new offices in Leeds’ Wellington Place, Marshalls were selected to supply a range of Natural Stone paving products from the Granite Collection. 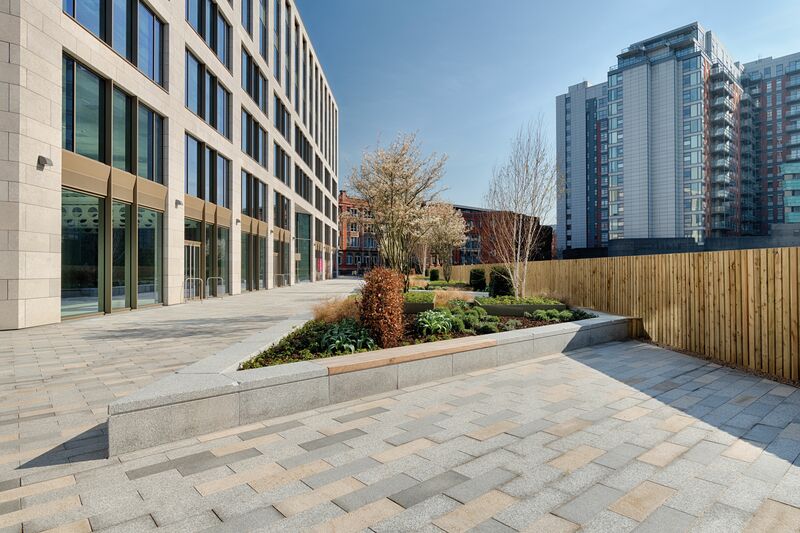 As well as paving and setts in a contemporary colour blend, Marshalls also supplied bespoke seating and planter units with timber cladding to house the area’s soft landscaping. 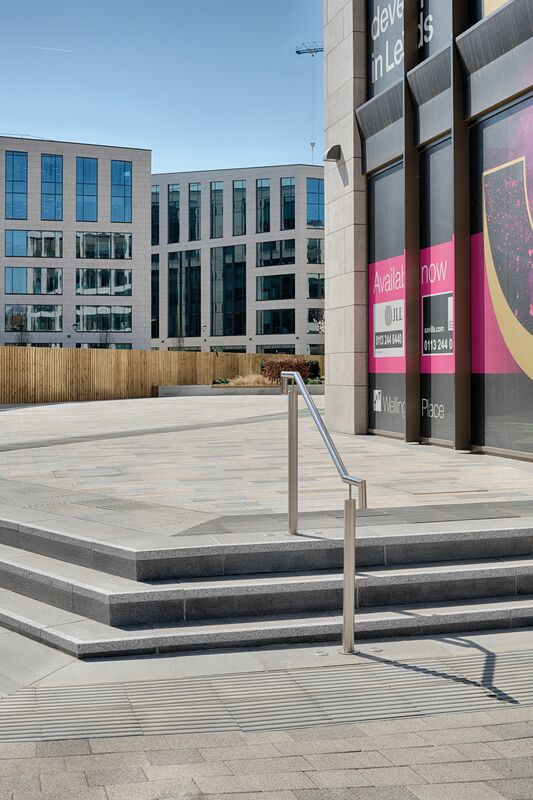 Marshalls’ granite was also selected for the step units leading up to the entranceways to the building, complete with contrasting treads for colour contrast.